Helps to Improve your Indoor Air Quality. Icynene Stands Behind Their High-Performance Insulation Products. Save Up To 40% in Heating and Cooling Costs for Your Home. Imagine what your home would be like without proper insulation: Drafty doors become massive heat-wasters. Cracks in windows and narrow wall widths become the bane of summers because they let the cool air seep out and hot air seep in. At Ace Insulation Services Inc, our solution is classic fiberglass insulation—an industry standard time-tested to help local homeowners in El Paso, TX control their indoor climates. Fiberglass insulation is practical in two ways: As Ace Insulation Services Inc can attest, fiberglass insulation is the standard go-to insulator for residences. But fiberglass insulation can really help economically. By maintaining desired indoor temperatures efficiently, fiberglass insulation has a direct impact on keeping home cooling and heating costs as low as possible. Running AC and heat without proper fiberglass insulation will only hurt your finances and lead to your home being uncomfortable. So don't delay. 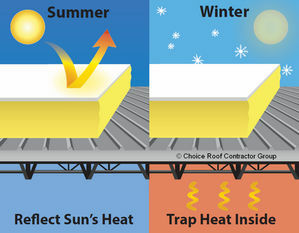 To learn more about our fiberglass insulation options, call us today. Let Us Fill You In. Watch the video below to learn how Icynene can help your family. Icynene gets into spaces others can't. With Icynene - a modern foam insulation that seals and insulates - you are assured of filling all the gaps and small openings in walls, attics, and floors that add up to big heating & cooling savings, up to 40%.